At the moment, a delightful promise of Spring. 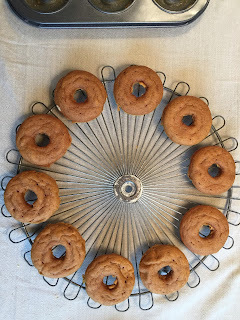 Something else that delighted us where the pumpkin donuts I baked. The cinnamon scent floated through the air, and it was difficult waiting till teatime. But we did it & it was worth the wait! 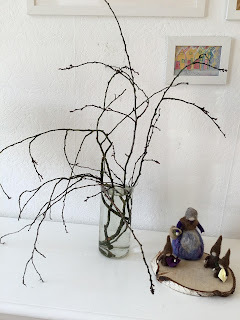 Have you got branches that soon might blossom on your nature table? 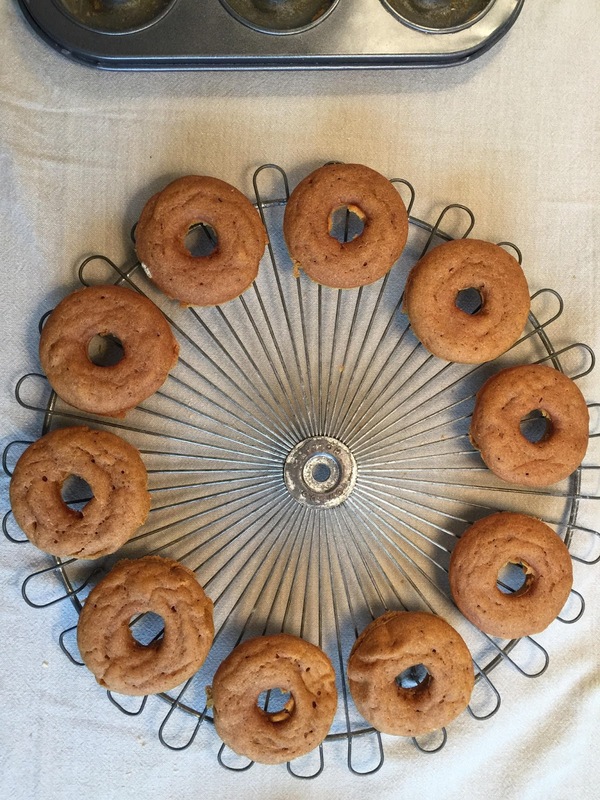 Baked donuts for teatime? Had something else happen you wish mentioning, please do! We love to keep in touch.